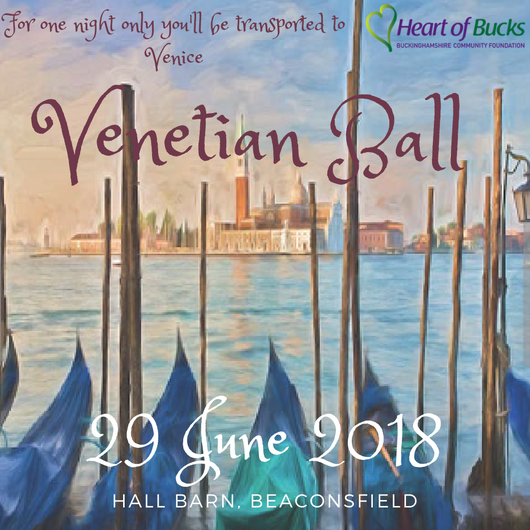 Heart of Bucks presents: Venetian Ball at Hall Barn in Beaconsfield on 29th June at 7pm. This auction is open for you to bid online until 12 noon on 28th June when online bidding will close. Bidding will re-open at the Ball on 29th June, and will only be available at the venue. If you are unable to attend the Ball, but wish to bid on an item, you can still give yourself the best chance of winning by placing a proxy (maximum) bid on this page. We then will carry your bid over to the main auction on the evening of the Ball and continue bidding up for you up to your maximum. You will be contacted after the Ball your bid has been successful. Fantastic opportunity to see Jools Holland and his Rhythm and Blues Orchestra on Friday 30th November in concert with special guest Soft Cell frontman Marc Almond who will accompany Jools on stage. With a catalogue that reaches through decades 'Jools' boogie-woogie party is not to be missed! This is a 5-seated Second Tier private box in this iconic venue. the box sits above the Royal Box and is privately owned. The Royal Albert Hall (RAH) has a variety of dining spaces and bars across all levels open to ticket holders two hours before concerts in the main auditorium. For an extra cost drinks and food can also be pre-ordered from the RAH and delivered, waiting for you in the box when you arrive - fabulous! Breakfast with Prosecco in a Yurt! Lovely opportunity for 2 people to start their day with breakfast including a glass of prosecco at Nicholson’s Yurt Cafe. The yurt was hand made in Devon. Hewn from skilfully steam bent ash timbers, sanded by craftsmen and treated with rich oils for longevity. The yurt has a fleece lining for winter and tough cotton canvas to keep out the British weather all year round. Prize to be taken during 2018. 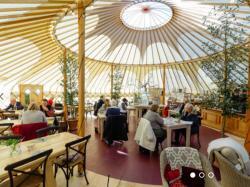 The cafe is base in Nicholson’s Nursery in the pretty village of North Aston Oxfordshire. It lies within Nicholson’s Garden Centre, a 23 acre family run garden centre specialising in trees, hedging and topiary. On the 18th November 2018 England conclude their UEFA Nations League campaign against Croatia. The kick-off time is 2pm. The atmosphere, the moments, the memories...you simply can't beat a big Wembley occasion. 3 or 4 night weekend or mid-week break for up to 4 people with ‘Away Resorts’. 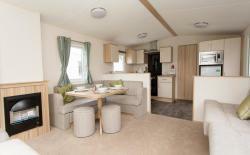 Comfort caravan, posh camping - call it what you will, this is the perfect staycation to suit all tastes. Even better, you can take your 4-legged friend with you because dogs are allowed. This experience allows 4 people the chance to experience clay pigeon shooting, at one of Europe’s premier shooting venue’s; EJ Churchill’s, High Wycombe. You will get a 4 hour session of shooting in various formats. The day includes all instruction, gun hire, insurance, ear protection and up to 100 clays & cartridges per person. Also includes awards for the winning team and a 2 course lunch at the local Public House. Available for 12 months from date of purchase, subject to availability. A rare opportunity for 4 people to be guided around Penn House by the owner, The Countess Howe and to have tea with her in the house. Penn House is situated in Penn Street, Amersham. 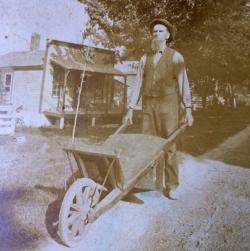 The Penn House Estate has been passed down in a direct family line since the Middle Ages. The present Earl is the successor of at least 15 previous generations of the Penn, Curzon and Howe families who have made Penn their home. The estate owes much to teh grants of land made by Henry VIII and his son Edward VI. Found in Denham, the Buckinghamshire Golf Club is an idyllic 18 hole championship golf course and club house. 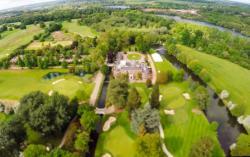 It was designed by the legendary Ryder Cup Captain - John Jacobs, who went to great lengths to turn the estate’s rolling park land into a mature and challenging golf course beyond its years. It has hosted many professional events over the years. 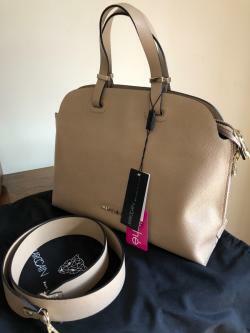 Elegant tote bag made from rose taupe coloured, embossed nappa leather. This tote bag makes quite an eye-catcher. The rounded carrying handles and clever zip detail complete the high-quality design. Elegant yet practical for many occasions. 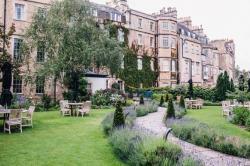 Enjoy a magnificent 1 night’s stay for two people at The Royal Crescent Hotel & Spa set in the stunning Georgian city of Bath. You and your guest will be staying in a highly desirable Deluxe Suite including a sumptuous breakfast, overlooking the Royal Crescent lawn or private gardens. With 250 years of glorious history, this luxurious 5* hotel has been awarded an impressive AA 3 Rosettes, AA 5 Red Stars and was the winner of The Best Hotel Spa at The World Spa Awards 2015 & 2016. After a day exploring Bath’s architecturally intriguing delights, why not relax and rejuvenate your senses with the hotel’s exceptional spa facilities including a 12-metre heated Relaxation Pool, Vitality Pool, Sauna and Steam Room. Alternatively, experience an unforgettable culinary journey at the hotels’ award-winning Dower House Restaurant – the perfect way to enjoy delectable dishes whilst soaking up the relaxed ambience of the beautifully designed dining room. This stay is the perfect stay for couples looking for an extra special romantic getaway! The Royal Crescent Hotel is a pleasant 10-minute stroll from the city centre, Pump Room Baths, and the Theatre Royal. Bath Spa Train Station is located 1 mile away. Includes breakfast. Must be booked and taken by May 2019, close out dates: 23 Dec – 02 Jan and 06-29 April. Be a passenger in a classic or exotic car ride up the famous Kop Hill Climb. Experience includes: day entry tickets for either the Saturday 15th or Sunday 16th September 2018, grandstand tickets and buffet lunch and drinks in the Patrons Corner. This experience will enable two guests to take part. Just like Grandpa used to make, indeed this was made by Grandpa from sloes hand picked from the Chiltern Hills to an age old recipe and matured for three years - this is as good as it gets! 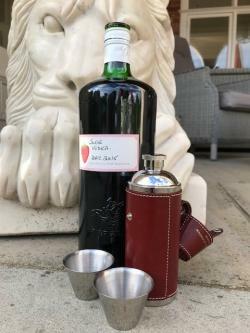 Money cannot buy this home-made Sloe Vodka, made for the shooting season or even as a cocktail with champagne. A rare opportunity to visit The House of Lords guided by one of the members, Earl Howe. The House of Lords, also known as The House of Peers, is the upper house of the Parliament of the United Kingdom. Like The House of Commons it meets in the Palace of Westminster. 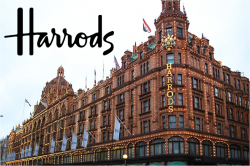 This tour is for 2 people and includes tea with Earl Howe in the House of Lords. Glass Fusing Taster Day at lovely Chiltern Studio in Askett near Princes Risborough. 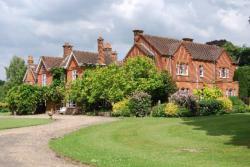 A creative day out for up to 6 adults in a pretty Chiltern village location. 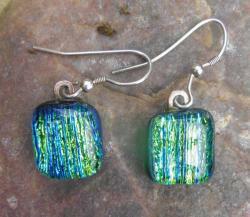 You will learn the basics of glass fusing and cutting techniques and will produce individual items of your choice including dichroic jewellery, coasters or Christmas decorations. Materials will be included for you to choose from. See photos. Lunch and refreshments will be provided, ending the day with a prosecco toast for luck with the Kiln Gods, when your work is set to be fired! 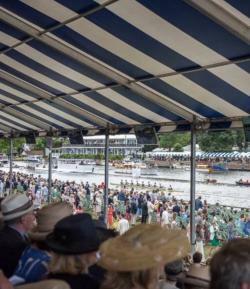 This is a marvellous opportunity for four people to enjoy the atmosphere at the heart of the Henley Royal Regatta within the iconic Stewards enclosure next year on 7th July 2019. This is entry only but with a range of opportunities to dine and enjoy Pimms and Champagne at the various restaurants and bars. The Stewards Enclosure is situated on the Berkshire bank, opposite the Finish Line. Founded in 1839, Henley Royal Regatta is undoubtably the best known regatta in the world. People on travel from all over the world to attend either as competitors or as spectators. Enclosure racing can be viewed from the grandstand or a stripy deckchair. France this summer that won’t be carrying Miraval among their exclusive cargo. The beautiful 17th-century Chateau Miraval was famously the location where Pink Floyd recorded The Wall and its recording studio has been a favourite of AC/DC, Wham, UB40, Sting, Sade and Elton John. More recently, in 2009, it was purchased by Brad Pitt and Angelina Jolie for $60m and extensively renovated. 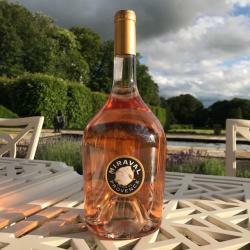 ‘Brangelina’ recruited the Perrin family (who make some of the finest and most expensive wines of the Rhone) to oversee the winemaking and after re-launching in 2012 Miraval’s rosé has become almost as famous as it’s celebrity guests. A beautifully pale pink colour, with a nose of wild strawberry and stone fruit and delicate floral touches this is a wine of great palate texture, with soft tangerine and peach notes joining layers of berry fruit. Best enjoyed paired with Mediterranean sunshine, fine seafood and preferably on a yacht! day can accomplish miracles. Includes reasonable travel distance, all the tools for a 7 hour day. 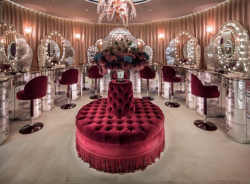 On arrival at Gaucho Charlotte Street you and your guests will be shown to their boutique Tasting Room where you will enjoy a glass of Champagne. 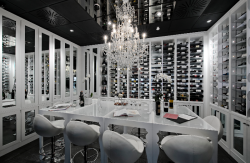 You will spend the whole evening from 6pm in this beautiful space where you’ll be guided through a carefully curated selection of Argentine wines and steaks. The Gaucho sommelier will guide you through a 45 minute Wine Masterclass, where you’ll taste 5 of the greatest wine varieties Argentina has to offer. You will then enjoy a 3-course meal with half a bottle of wine per person, water and coffees included. Dates available are Monday – Sunday, subject to availability. December is excluded. Must be booked and taken within 12 months of purchase. On arrival, you will receive a glass of champagne, before taking your seats in the Bentley or Lalique themed private dining room to enjoy Anton Mosimann's 'signature' four course menu with paired wines. Choose between the Bentley room - with their blend of impeccable heritage and handcrafted British luxury, or the stunning Lalique room - with a distinguished showcase of the unrivalled crystal ware and craftsmanship of the house of Lalique. This is available for either lunch or dinner. The rooms can accommodate up to 12 people, & additional spaces are available at a surcharge. Available for 12 months from date of purchase, subject to availability. An undeniably A-list rosé loved by A-list celebrities. There are few yachts in the South of France this summer that won’t be carrying Miraval among their exclusive cargo. 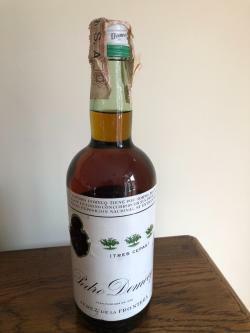 Discovered in Gran Canaria in a store rooom alongside other bottles. Thought to be of 1968 vintage this is circa 50 years old. Are you prepared to crack open this seal!!! 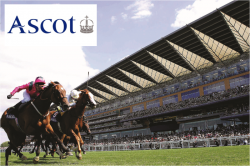 Savour the exhilarating atmosphere of Ascot in style within a private box for 16 people, on a selection of dates in 2018/19. (Excluding all Royal Ascot racing, King George Day and British Champions Day). Included are 16 full members badges and 8 car park passes. 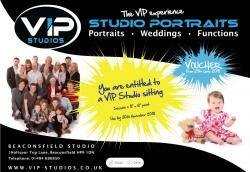 An excellent group party or corporate hospitality opportunity. Catering is not included, however food and drink packages can be added at an additional charge. This experience must be taken within 12 months of the event date, subject to availability. Chewton Glen Hotel Overnight Stay for 2 Package. Chewton Glen is a luxury country house hotel and spa set in 130 acres of Hampshire countryside on the edge of the New Forest National Park and just a few minutes' walk from the sea. Chewton Glen is a proud member of Relais & Châteaux and listed as one of the 'World's Best Hotels' by Conde Nast Traveller readers. You and your guest will enjoy a fabulous overnight stay in a Classic Double Room boasting beautiful views of the garden and parkland. 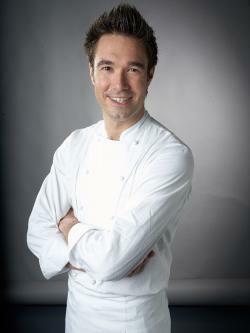 Head to dinner within the award-winning restaurant run by Head Chef Simon Addison and Executive Head Chef Luke Matthews. A full English breakfast will be served the following morning. Other options on site include a luxurious spa featuring a sauna, steam room and whirlpool, four tennis courts, a gym and a magnificent golf course. 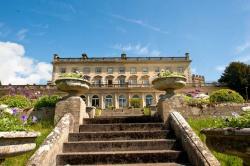 This stay must be booked and taken within 12 months of the event, accommodation and dining are subject to availability. A dinner reservation will need to be made in conjunction with your stay. Valid for Sunday to Thursday night bookings only.